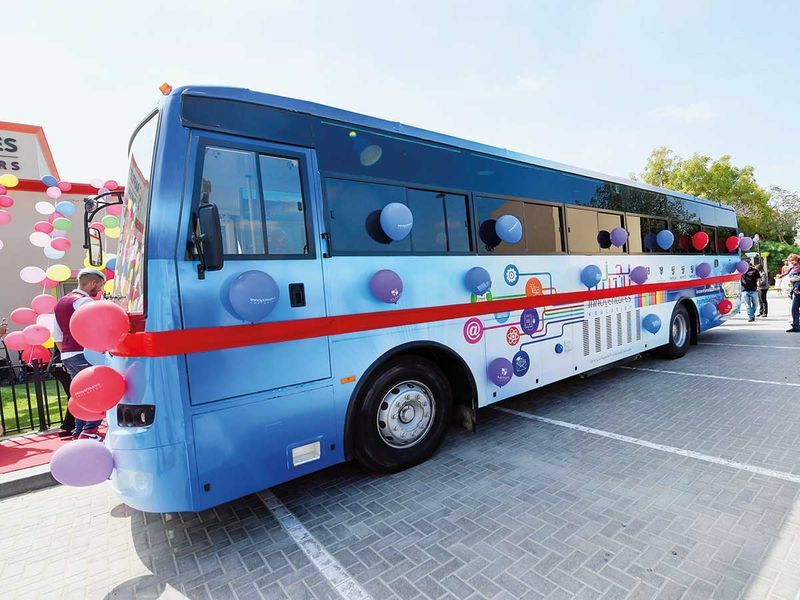 Dubai: Young learners at Raffles nurseries will now have a fun hour every week on Bug Bytes Bus, a purpose-built classroom on wheels that will offer age-appropriate tech education to young learners. Launched on Wednesday at Raffles Starters and Springs Nursery, the customised air-conditioned bus is equipped with HP tablets, robotic kits and digital LCD screens, with the state-of-the-art interior also including a 3D scanner and a printer as well as latest learning and playing tools. Designed in partnership with HP, the initiative is part of the ‘World on Wheels’ project which aims to bring mobile technology across Innoventures Education’s schools. As practitioners of early years education we do believe that children need opportunities to enhance their skills and get the knowledge to succeed in a changing world. “Innoventures Education schools and nurseries believe in using technology as a tool to accelerate the learning process and continue to build networked learning environments where students explore their own ideas, develop skills and build confidence through the use of technology, in a fun, child-friendly way,” said Poonam Bhojani, CEO Innoventures Education, speaking to Gulf News, following the launch. 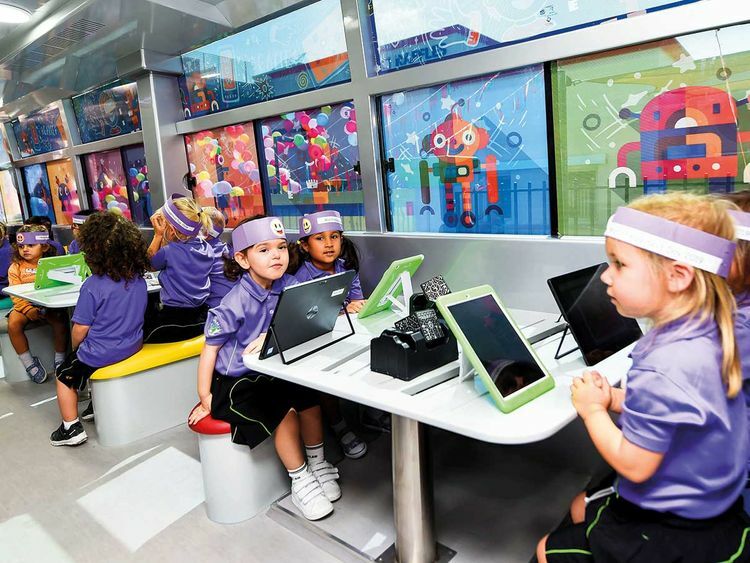 The mobile classroom travels to different Raffles nurseries and Raffles Starters branches throughout the week, engaging young learners, using a specially-designed age appropriate activities for the early years, offering children between three to four years of age access to a world of new experiences. “As practitioners of early years education we do believe that children need opportunities to enhance their skills and get the knowledge to succeed in a changing world. So through this initiative we are giving our young children a head start in learning how to engage with latest technologies,” said Susie McShane, Head of Raffles Starters and Springs Nursery. The programme currently has one bus and Innoventures Education is planning to expand the programme further with more vehicles soon. McShane added that the bus will arrive at different schools on a weekly basis and students will then embark on a fun journey of learning through various activities. “Among the subjects we are discussing now is the solar system and this will see children learning about the universe in a very different way using 3D technology with the planet coming alive and engaging with the students,” said McShane. Hind Al Mualla, Chief of Creativity, Happiness and Innovation at Knowledge and Human Development Authority (KHDA), Mouza Al Suwaidi, Chief of Engagement at KHDA and Lina Jalouqa, Public Partnerships Manager for UNICEF, were present at the launch of the programme.